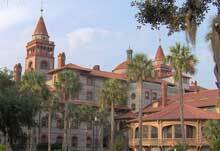 Saint Augustine is located in the Northeastern part of Florida The locals refer to this region as "The First Coast." This area includes Jacksonville, St. Augustine and Amelia Island. St. Augustine was founded in 1565 by Spanish explorers, and has been the oldest most continuously European occupied port in the United States. Because of it's Spanish Colonial history, St. Augustine is a historic city, with many examples of 19th century architecture buildings. Visitors to Saint Augustine can take a guided Trolley Tour through the historical districts and learn much about St. Augustine's rich culture. 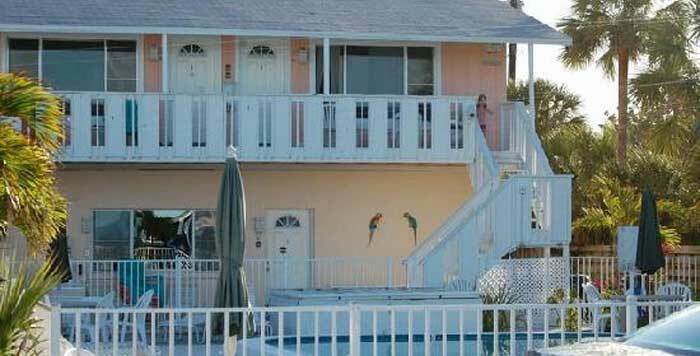 Another exciting tour for visitors is the St. Augustine Alligator Farm, established in 1893. This unique park is the only place where you can see every species of alligator, crocodile, caiman, and gharial. The zoo also has moneys, birds, and other reptiles, like the Komodo Dragon. The Bridge of Lions connects downtown St. Augustine to Anastasia Island. A pair of Medici Lions made of marble have been guarding the bridge since 1925. At the north end of Anastasia Island is St. Augustine Light, an active lighthouse built in 1874. The Lighthouse and surrounding buildings have a long history of ghosts, shadows, voices and unexplained sounds. The Lighthouse staff offers regular "Dark of the Moon" ghost hunting tours. Both Museum and Lighthouse are open to the public. Beautiful White Sandy Beaches, Great waterfront restaurants, and plenty of activities. Book Your Stay Now!